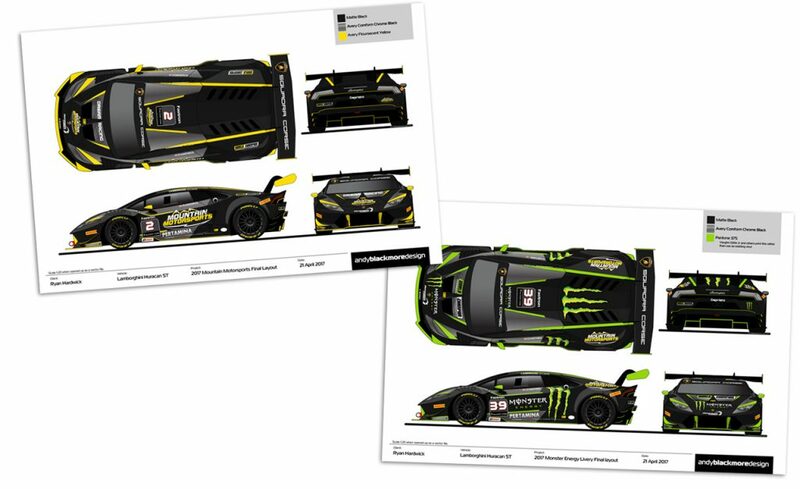 I was recently commissioned by Ryan Hardwick and business partnerDustin Farthing, to create a livery for their two car Lamborghini Huracán Super Trofeo entry in the 2017 Lamborghini Super Trofeo North American championship. 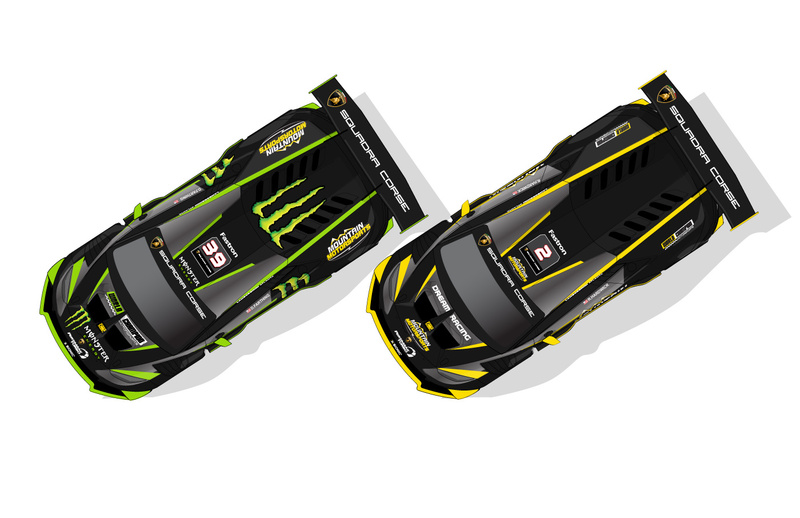 Two of four liveries in this years series. Dustin is a 17 time Nation and World pro-class Water sports champion. With his transition to auto-racing, his Dustin’s Huracán will feature Monster Enegery sponsorship and carry the iconic bright green accents on a Matte Black base with a cool interesting Chrome Black finish. I chose to keep the design relatively clean and am using some of the cool form and creases of the supercar for the location of the accents. 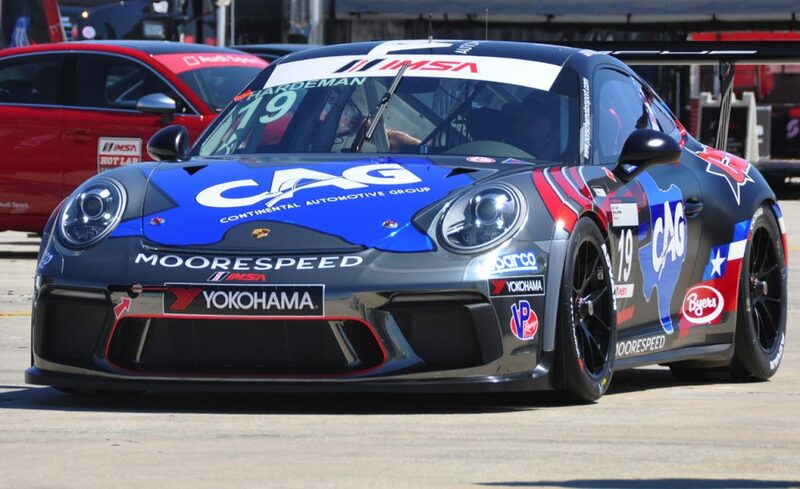 I recently used Chrome Black on Will Harderman’s Moorspeed Racing Porsche 911 GT3 Cup car, so that should provide some great contrast to the Matte Black and vibrant Green. Ryan’s car will feature Mountain Motorsports branding and carry yellow accents to give the duo an effective individual and collective team look. 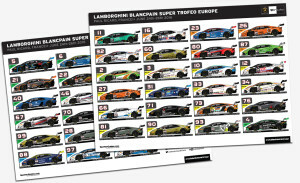 I will also be producing the official Spotter Guide for the European and North American Championship again in 2017.